Is it a motorcycle? Is it a car? 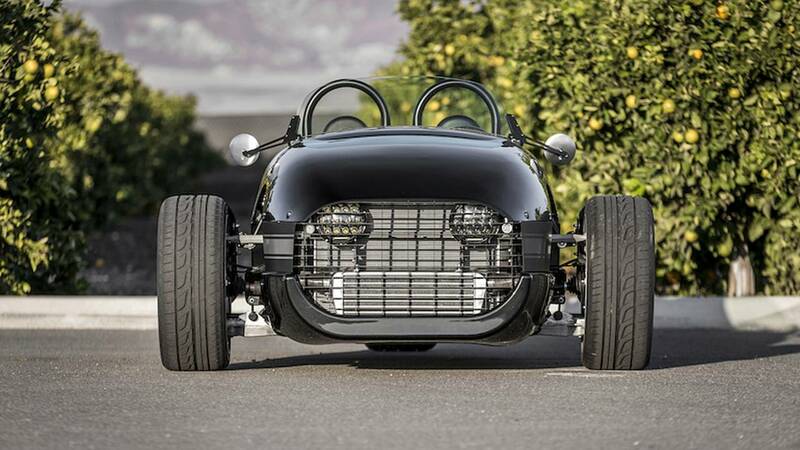 And more importantly: is the Vanderhall Venice three-wheeler any fun to ride? Or... uhm... drive? 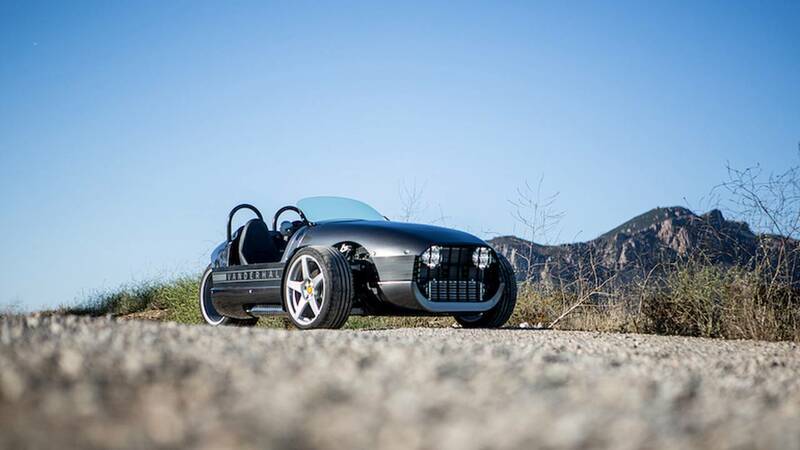 Not too long ago RideApart first told you about Vanderhall Motor Works, a Utah-based company making three-wheeled vehicles. But actually, the company has been around for a few years and its newly released Venice Roadster is the company's second generation of this type vehicle. The quick and compact three-wheeled machine can outperform many sports cars, and can stop in a shorter distance than many sportbikes. Is it a car, or is it a motorcycle? It all depends on who you ask. Legally, since it has less than four wheels, it's considered to be a motorcycle in the state of California (where we tested it). The motorcycle classification is basically why it exists. Small manufacturers can't afford to jump through all the regulatory hoops, including installing airbags, crash testing prototypes, and meeting strict federal safety standards that major automobile manufacturers must do with four-wheeled vehicles. Two and three wheelers aren't burdened with these costly requirements. The odds are that the Venice won't be classed as a motorcycle for long. Polaris, which produces the incredibly popular Slingshot, has been pushing hard to see US states adopt a new three-wheeler classification for such vehicles. But in the meantime, being a motorcycle under the law also has another major advantage: it's eligible to drive in the “diamond” lane of many highways in busy urban areas. State laws regarding licensing and helmet requirements vary widely. In some jurisdictions you may be required to have a motorcycle endorsement, in others not. Same with helmets. 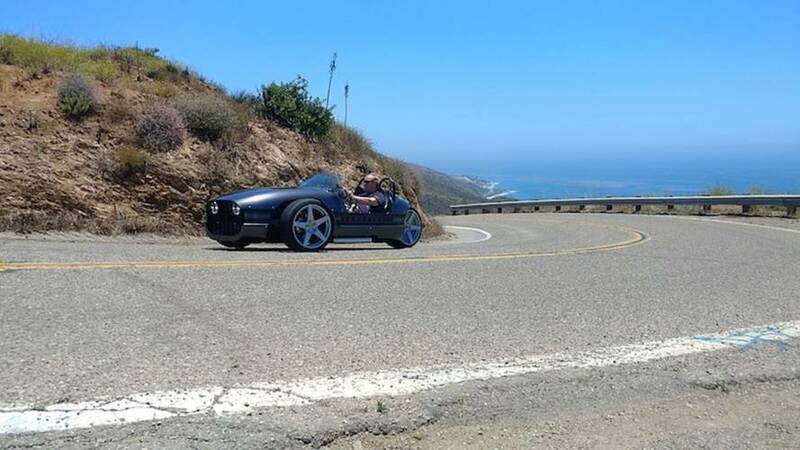 We recently had an opportunity to drive this sporty open-air vehicle, which offers side-by-side seating for two, in and around Malibu, California. As luck would have it, it was on a sunny day with perfect weather! Designed and hand-built by Vanderhall Motor Works of Provo, Utah, the Venice Roadster is called an “autocycle” by its makers. The front wheels are powered by a turbocharged 1.4-liter GM engine with variable valve timing and fuel injection. 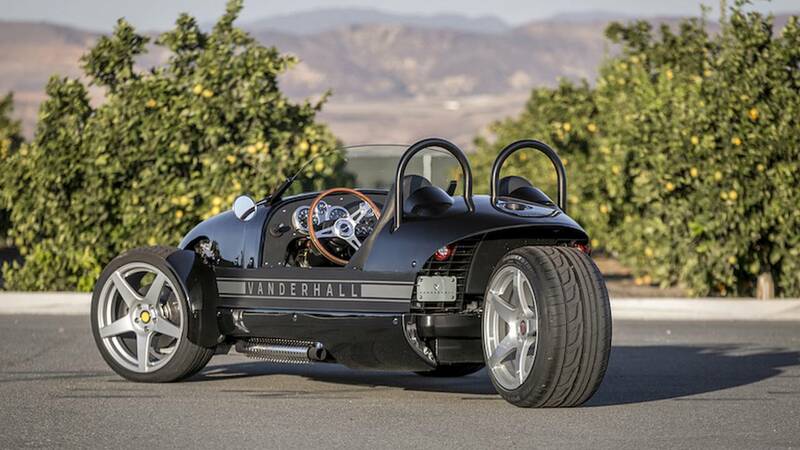 Vanderhall’s patented, mono-aluminum chassis is wrapped within a composite body shell. Its turbocharged engine idles well in traffic, yet really comes alive when the pedal is floored. It pulls strongly up to redline in an exciting burst of speed. Exhaust sounds are well muted, but the hissing from the wastegate is readily heard while driving. We'd prefer to hear a bit more exhaust note as well. According to the manufacturer, the horsepower-to-weight ratio is 6.875 pounds per HP. This puts the (claimed) 1375-lbs Venice’s power-to-weight ratio well within the muscle-car zone. It is said to accelerate from zero to 60 mph in under 5 seconds, and although we didn't have it instrumented, we fully believe it. This thing zips! Power is delivered through a six-speed auto-manual transmission. The main shifter is located between the bucket seats. By pulling all the way back on it, the sequential shifter on the left side becomes operative. This allows the driver to control up- and down-shifts a notch at a time for a sportier feel. Stopping duty is ably handled with standard ABS, brake assist, and automotive disc brakes at each wheel. We found the brakes scrub off speed very quickly and in a panic-type braking situation there's very little skewing or drama, just a short controllable stop. 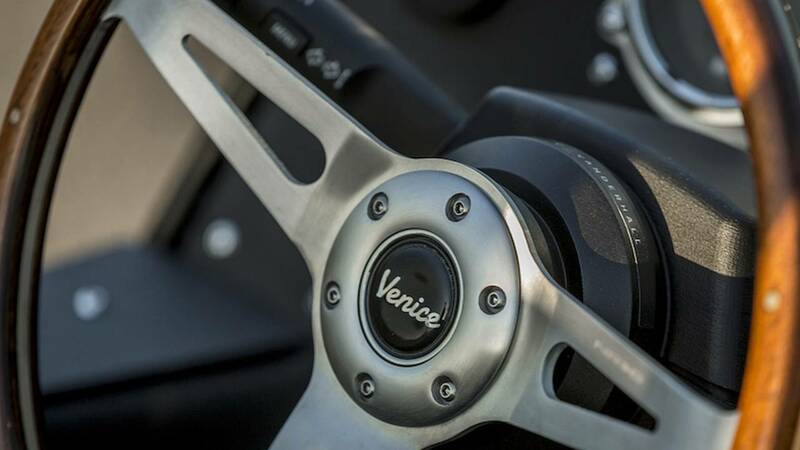 Vanderhall reports that the Venice can come to a halt from 60 to 0 mph in under 100 feet! Optional Brembo brakes are said to be available as an option for even stronger braking performance. The Venice has just 4.5 inches of ground clearance, giving it a low center of gravity. Chassis has coil-over shocks and there's a single-sided swingarm at the rear. Standard fitment tires are Continentals, with larger Toyos available as an option. Ride quality is sporty and firm, yet not punishing. Chassis tuning, including spring rates and damping seem well sorted, as does the whole machine. The wide, grippy tires, plus a 70/30 weight distribution and low-slung mass, allow the Venice to produce high lateral cornering forces with stability; just the formula for tight, winding canyons. Instrumentation is basic, but there's everything you need. There's no center mirror, which is missed. The windscreen blocks most of the windblast, but a strong breeze coming over the top will muss your hair. Creature comforts include power steering, heated seats, and a 600-Watt sound system with Bluetooth connectivity. The audio system is powerful and plays music via Bluetooth from your portable device, but alas there's no radio function. We were impressed with the overall attention to detail on the Venice, along with the secure feeling it gives to the driver out on the road. There's not a single squeak or rattle. The compact vehicle has a narrow cockpit, which may make it a bit cozy for folks of large girth, but the legroom was plenty for this 6-foot-1 tall driver. 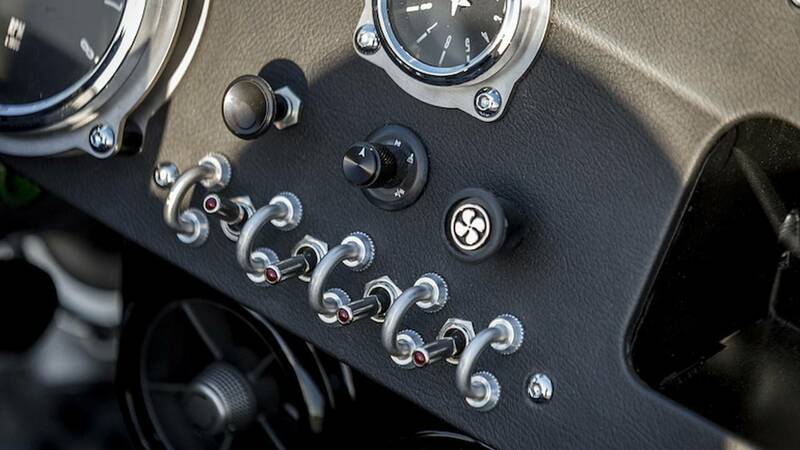 Three-point harnesses keep you in place, and rollbar hoops provide important protection in the event of a flip. Cockpit layout is comfortable, with good placement of controls and the adjustable steering column. Storage space is limited, too, with a small compartment behind the seats which is said to have a 4,600 cubic inch capacity. Without doors, climbing in and out does require a modicum of gymnastics, but may allow you to skip yoga class. This resulted in Vanderhall’s first model, the Laguna. After its release, Hall recognized a demand for another model, inspiring the design of the Venice. Following the release of the Laguna just over a year ago, Vanderhall is looking to expand sales with the more attractive price of the Venice. 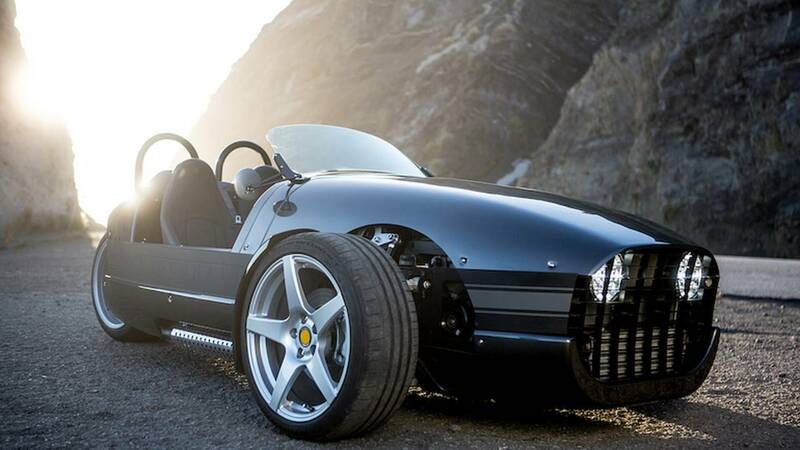 With its British racer looks, as well as a lower base MSRP of $29,950, Vanderhall hopes to sell into a larger market with this new roadster. To keep things simple, the Venice is offered in one trim level and three colors – charcoal, black, and pearl white. Dealer-installed options will be released in the coming months and pre-orders are already being taken. The bottom line is, the Venice is not for everyone, but for folks who like a compact, lithe machine with powerful acceleration, reasonable fuel economy, taut handling, and powerful brakes, this may be the one. 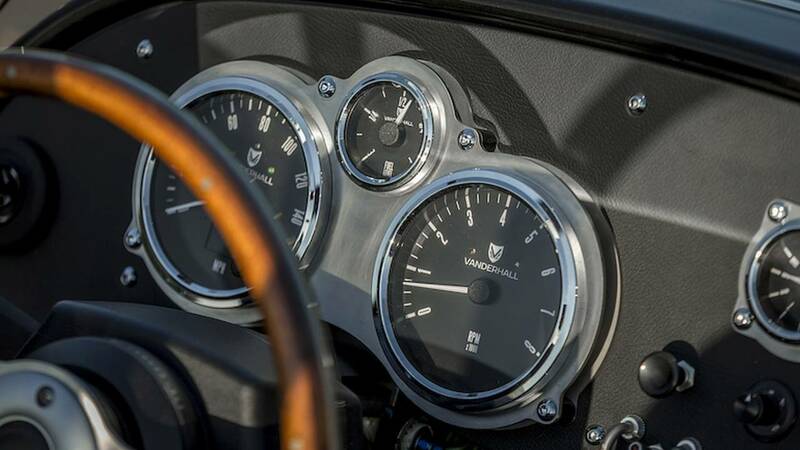 For more information about Vanderhall and its roadsters, visit the Vanderhall website.